People are often confused about whether to buy expensive or cheap products. Some believe the theory that the things that are expensive are of good quality. They last longer and also become a symbol of prestige too. While other people think the opposite. They do not buy stuff in order to show off in their social circle. They look for its utility. They do not find any harm in settling for cheap products. They believe that cheap products can also provide quality. It is said that shoes are the first thing that gets noticed about your attire. Moreover, this is what you wear daily. You would certainly won’t want to wear cheap shoes which may get torn any time while you are in a meeting with clients. It is also said that your shoes are the first thing that a woman notices, followed by your watch. So, let’s call it an investment to impress a girl you met. Thirdly, you must buy shoes that are comfortable. Since you have to wear them for long hours in the office, or while traveling, you would not want your feet to hurt. And, this is why we earn money. To bring some comfort to our lives. And shoes are the basic things. If you are an athlete, shoes are a basic part of your life. No athlete or sportsperson would like to buy a new pair of sports shoes every week. So rather than seeing it as an expense, think of it as an investment. Be it formal shows, or casual or sports shoes, make sure you buy good ones on whom you can actually rely. A belt is again an accessory that you wear daily. It is not a very expensive item you can’t afford to buy or you fear of getting it stolen. 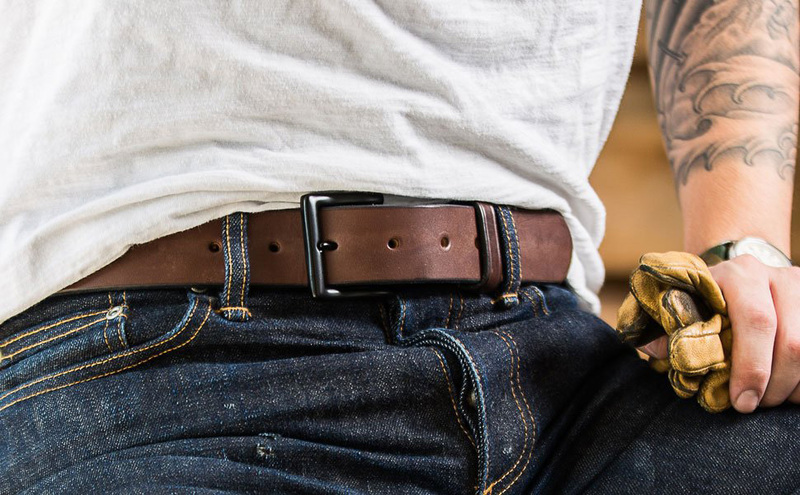 Instead of buying a super cheap belt that gets torn after some time, put some more money and buy a better one, so that it doesn’t ruin your entire attire. Moreover, the belt should match well with your shirt and pant because it completes your look. A wallet is a daily use product. You can either buy Rs 100 bucks wallet 4 times a year or buy a good one once and use it for 5 years. You would not want to embarrass yourself every time you take out your half torn wallet to pay the bills. You keep your hard earned money in a wallet. So why not invest some amount in buying a nice wallet? Sunglasses that are of duplicate brands can be spotted easily. You should buy a nice pair of sunglasses to complete your look. Though you might find the exact duplicate of the expensive brands. On finding one, you will think why spending 3k bucks on a pair of glasses while you can get the exact same one at merely Rs 300. Well, it is not just about the look. Sunglasses protect your eyes from harmful UV rays, dust etc. Moreover, it is a one-time investment. A pair of sunglasses you buy can be used for years. As said earlier, a watch is the second thing that a woman notices in a man. A good watch can add a lot more weight to your personality. So, make sure you buy a good watch if you want to impress people around you. You may like to explore more on the basic elements of Modern Gentleman’s Wardrobe, Check it out!